By “pump up,” I mean to do something that improves your financial situation in any way. Reduce expenses, start a rainy day fund, invest for the future, etc. With that said, let’s take a look at some simple strategies to pump up your finances. I’d start by creating a budget. Look at the past three months of income and expenses. Total the expenses, total your income and compare the two. This will give you a clear picture of how much you are spending versus how much you make. After that, you can go back with a magnifying glass and see exactly where your money is going, and stop spending money where it is necessary, or at least reduce it. You can also reduce the fees you pay to invest. Mutual funds and ETFs are the most popular vehicles used today, but they come with a cost. It’s listed as an expense ratio. That ratio should be as low as possible. Ideally, it’ll be under .20%. A quick tip to cut your expenses – get rid of cable/dish. There are too many services available now. You don’t need to spend $100+ on TV anymore. Hopefully, you are saving something. If you are having trouble setting money aside because of limited resources, give this article a read for some help. You should be saving in at least two places. An emergency fund and a retirement plan. Emergency fund – Say you are contributing $20 per month. This is a good place to start, but you’re going to want to save more so you have enough in case your car breaks down or you lose your job. After three months of saving $20/month. Increase that amount by $5. After another three months, at which point you’ll have gotten used to not having that extra $5, increase it again. Rinse and repeat. Retirement plan – If you have a retirement plan with your employer and they match, you’ll want to contribute at least enough to get that match. That’s your starting point. Then you’ll follow the same steps as the emergency fund. After a few months, increase the contribution percentage. If you don’t have a plan with your employer, set up an IRA, start contributing what’s comfortable for you, and follow those same steps. Most online banks have higher interest rates on savings accounts. They also, typically, have lower rates on loans (based on credit score). If you are saving money for a rainy day and putting it with a brick and mortar bank, you’re most likely earning next to nothing. Better to put that money in an account where you’ll earn a little interest. I’m going to dedicate this section to credit cards because that’s what most people think of when they hear high-interest rates. There are three strategies you can use. Balance transfer – Many credit card companies offer a 0% APR on balance transfers for a certain period of time. Some have terms for 21 months. The interest rate will jump after the 21st month, though, so make sure your balance is paid off before then. Personal loan – If you have credit card debt and don’t, or can’t, utilize a 0% balance transfer, then a personal loan is your next option. You get a loan for the total amount of outstanding credit card debt. Then the institution will send a payment to each credit card company and pay off your credit card debt. You’ll be left with one payment. Be advised, credit matters here (also for balance transfers) so if the interest rate on the personal loan is higher than the average interest rate of your credit cards, don’t do it. The last option is to call the credit card company and ask for a lower rate. More often than not, if it’s available, they’ll give it to you. It won’t lower your payment a whole lot, but it’ll definitely help. If you want to learn more about credit cards, click here. Your credit score makes a difference. It can impact what loans you qualify for, the interest rate, where you live, and where you work. If you want to start making moves in your financial life, you need to improve your credit. There are three really simple ways to do this. Pay more than the minimum on your outstanding debt and pay on time – on time payments is the #1 factor when calculating your score. Call your utility company and see if they report to the credit agency. It’ll count as another credit account (a factor) and it’ll influence your on-time payments. Open a secured credit card – You open this type of card with a deposit. The deposit will act as your credit limit. If you deposit $500, you’ll have a credit limit of $500. Make regular, small purchases and pay the entire balance right away. Credit agencies like to so activity and, as I’ve said, on-time payments. If you want to learn more about improving your credit, click here. If you want to improve your financial life, it’s actually pretty straight forward. Spend less than you make, save money for the future, pay down debt, and improve your credit. If you do these four things (obviously, easier said than done), goals that once seemed far fetched, can be within reach. Please visit my website for our disclosures. Improving your financial situation is hard for anybody. It can be even more difficult if you have less to work with. This is an all too common problem in America, as 78% of full-time workers live paycheck to paycheck (Source). Even scarier, 34% don’t have any money saved whatsoever (Source). That said, there are steps you can take and resources you can utilize to better your financial picture. Line items for expenses – housing, utilities, debt, food, transportation, bills, discretionary spending. Compare the two numbers to see exactly how much you have left over. If there isn’t any left, you need to figure out how to lower your expenses and make adjustments as needed. Automating your finances is an important step, though not possible for everyone. If you have a lower income, you may be afraid that the money won’t be in your account for that automatic withdrawal. Automate what you are comfortable with, or voraciously set reminders. Don’t forget to pay a bill. You can damage your credit score and incur late penalties. Additionally, having a small transfer from checking to savings once a month can be a great way to save up for emergencies. There’s no denying it, your credit score is important. It determines your interest rate on loans, it can influence where you live, it can even play a factor when applying for a job. Start small and start slowly. Open up a credit card. Look for one with no annual fee and a great rewards program. Make small, necessary purchases each month and pay them off right away. Don’t carry a balance month-to-month. Doing this will inevitably cost you money via interest charges. And never miss a payment. If you don’t have one, set one up today. Having some sort of safety net available is vital. If you don’t have that, you’ll probably charge an emergency expense, which will cost you more money in the long run. Start small and stay consistent. Contribute a little bit each month or each week to build up that emergency fund. This will have a huge impact on your financial life. Once you are free from debt, you will have more money available for savings, fun money, or for improving your situation in other ways. There are a few methods to help with debt repayment. Debt snowball – This method targets low-balances. You pay the minimum on your other debts and pay as much as you can on the debt with the lowest balance. Once it’s paid off, you redirect that money towards the next lowest balance. Balance transfer – If you have credit card debt and have a high-interest rate, it may be beneficial to transfer your balance to another card. Many cards have 0% interest, introductory offers on balance transfers. This will also save you a lot of money on interest payments! Debt is very annoying, and getting rid of it will feel so liberating. Work towards this goal. There are two ways the library can help you. One, it’s filled with knowledge. If you want to get a different job, but don’t know much about your target industry, there are resources to help you. If you want to get promoted at your current company, and need to learn about different job roles and responsibilities, you can learn more. Two, the more time you spend at the library, the less you have to spend at home. You can turn off the heat or air conditioning, and your lights while you are gone. This could drastically lower your utility bill. One thing I forgot to mention, is the benefit of small rewards. When you are trying to better your financial situation, and are focusing everything on that goal, it can feel discouraging and you can quickly lose motivation. If you meet a milestone, like paying off a debt account or you cut a balance in half, reward yourself. Now, don’t go crazy, but a small reward for a job well done can keep you motivated. You can improve your situation, but it has to be a priority. Do your best to improve a little bit each day. These improvements will compound over time and you’ll be amazed where you stand in a year or two. If you’d like to learn more about improving your financial situation and for our disclosures, visit www.crgfinancialservices.com. Conventional advice tells you that, for retirement, you need $1 million to $1.5 million saved, or that you need 10 to 12 times your current annual salary. For example, if you make $100,000 per year, you’ll need $1 million to $1.2 million saved for retirement. Are these numbers and calculations good enough? Is there a better, more accurate way to figure out what you’ll need to save for retirement? In this post, we’ll look into that and more. There’s a huge number of them out there. I recommend trying a few different ones, that way you can compare and average out the numbers. They’ll ask you things like age, current savings, current income, future contributions, etc. Here are a few of the better ones. Using some or all of these calculators, you can probably get a good idea of where you’re at currently, how to improve, and where you’ll need to be at the end. There are a variety of different factors at play. You’ll have different expenses and different income levels, and some of those numbers won’t stay steady throughout retirement. For example, a couple’s health care costs in retirement are said to be $275,000 (Source). However, not all of that will hit you in the first few years of retirement. More than likely, you’ll have minimal costs in the beginning, and they’ll slowly increase as you age. This can be a huge variable in retirement. Its widely known that different areas of the country have a higher cost of living. San Francisco is more expensive than Lincoln, Nebraska. Another important factor regarding your living situation is if you have a mortgage or not. No mortgage means fewer expenses, which is less going out of your pocket, and more that can be saved for the future. Not having a mortgage can also give you some leverage. If you decide that your current home is too big and would like to downsize, you can use the proceeds from the sale of your previous home to, hopefully, buy your new one outright. We’ve talked briefly about health care expenses during retirement and we talked about housing. Without a doubt, these are the two largest expenses during retirement. There are a few more to consider, however. Transportation – did you relocate? Or do you have family in other parts of the country? Transportation and lodging need to be taken into account when figuring out your expenses for retirement, especially if you’ll be traveling regularly. Entertainment – you might be looking for something to fill your time. It could be filled with expensive hobbies or other activities. If you are looking for something to do, or are looking to start a hobby, be sure your budget will allow for it. A budget is just as important in retirement as it is now, if not more so. Keeping track of your expenses and your income is very essential to your finances during retirement. You often hear people in retirement say they are on a fixed income. What that means is they have lost their ability to earn more money. What they have is it. If you are spending more than your savings and your income allows, you are setting yourself up for failure. Your income from retirement could come from a variety of places. Social security – provided by the government. The normal advice regarding social security is that it shouldn’t replace more than 40% of your income. Meaning 60% should come from another place. Your monthly payout from Social Security does increase the longer you delay taking it, and the reverse is true if you take it early. Pension – these are becoming less and less popular as time goes on. They were huge back in the day when workers would stay with one company until they retired, but because people switch jobs so often nowadays, employers don’t want to take the chance. If you have one, consider yourself lucky. Retirement savings – more than likely, this is where the other significant portion of your income will come from. This is where having a financial advisor is beneficial because you have to use enough of your savings to afford your retirement, but not too much so you don’t run out of money. Tricky. Other areas – there can be other sources of income during retirement. You could have some dividend or interest income from your investments, you could work part-time to stay active and earn a little extra, or you could possibly have a rental property or several. If you want to learn more about where your income could come from in retirement, click here. Wherever your income comes from, it’s important to coordinate effectively so you maximize your current income without jeopardizing your savings. How you spend your time will also have a huge effect on your expenses. If you plan on spending most of your time with your grandkids, retirement could be more affordable than if you planning on golfing a few times per week. Although it could quite possibly be much more expensive than golf, we all know how grandparents are with their grandchildren. If money is tight and you are looking for things to fill your day, there are many free or low-cost activities available to you. Volunteer – not only is this a free activity. You’ll feel useful, you’ll get to use your brain, and you’ll have a sense of community, all are shown to increase longevity. Go to the park – take a walk, bring a book, or just interact with nature and the community. Community center – not all municipalities have one, but go to your local community center or go to your municipality’s website. There you will find local events, most of which are free. Discounts – most places offer senior discounts. If you aren’t offered one, make sure you ask for it. This really could save you a lot of money on activities, food, etc. The most depressing point in this post, but one of the most important. Unfortunately (or fortunately, depending on how you look at it), no one knows how long we are going to live for. One way to get a little indication, but not really, is your family history. If your grandparents or parents lived into their 80s, 90s, or 100s, the chances of you living a long life are a little higher. On the flip side, if most of your relatives passed away in their 60s or 70s, your odds of living into your 80s and 90s are lower. However, this really is no indication on how long you’ll live for. One of the most important things you can do for yourself is to live a healthy lifestyle. Take a walk once or twice per day, do something daily that will engage your mind, interact with friends and people in your community, and eat better. You’ve probably heard this before too. Here’s what it is. Once you retire, you withdraw 4% of your retirement savings every year. This is considered a safe withdrawal rate, as the withdrawals would consist mostly of interest, dividends, and unrealized gains from your investments. Let’s say you have $1 million saved for retirement. The 4% rule would allow you to withdraw $40,000 per year. All else staying the same, you have 25 years worth of withdrawals using this method. Be advised that no growth was factored into this calculation. I suppose you’d like an answer to the question we proposed in the beginning. Here it is. It depends. It depends on your current and future expenses, it depends on where you’re income will come from, it depends on how much income you expect (outside of retirement savings), and it depends on how you live your life during retirement. Most importantly, you need to work with a financial professional, ideally someone that specializes in retirement planning. To learn more about retirement planning and for our disclosures, visit www.crgfinancialservices.com. The Difference between an HSA and an FSA? Nowadays, health insurance and the medical care you receive is expensive. There are some products available to help you with those expenses, however. Enter in the HSA and the FSA. These two products are making it easier for consumers to save for and pay for medical care. But how does each of them work? Which one is better? An HSA is a Health Savings Account. These types of accounts are available to people who have High-Deductible Health Plans (HDHP). An HDHP is defined as a health insurance plan with a deductible of $1,350 for individuals and $2,700 for families, and an out-of-pocket maximum of $6,650 and $13,300, respectively. An HSA is sometimes offered by the insurance company that provides the health insurance, but can often be applied for at many financial institutions. An HSA has several key characteristics. Qualified medical expenses include the following. You can find a complete list of eligible expenses here. An FSA is a Flexible Spending Account. Only employees of eligible employers qualify for an FSA. There are several characteristics of an FSA. See the full list of qualified expenses here. It very much depends on what is available to you. If you don’t have a High deductible health plan, then you are ineligible for an HSA. If your employer doesn’t offer an FSA, I’m sorry, that’s not available to you either. If you have the option to pick between the two, most often I would lean towards the HSA and there are a few reasons why. You are able to contribute more, which gives you more money to use on qualified expenses and could effectively lower your tax liability. You can carry over unused contributions year-after-year. You should not use an FSA if you are in good health. An FSA is more appropriate for someone with recurring and somewhat predictable medical expenses. If you are healthy, the odds of you contributing to an FSA and not using the funds, are pretty high. Health insurance and medical care are expensive. Having an FSA or an HSA available to lessen the blow of those expenses is HUGE. It is very important to know which one you can use, and which one would be the most beneficial to you. Use this information to carefully select and effectively use what’s available to you. To learn more about saving for medical expenses and for our disclosures go to www.crgfinancialservices.com. How many of you have had an unplanned expense recently? How much was it $500? $1,000? Unplanned expenses are anything but, unplanned. Sure, we don’t know when they will occur, but they will occur. Being able to “plan” for those expenses will save you a lot of grief, and will probably save you money. If you don’t have a rainy day fund, how do you pay for an unexpected expense? Your credit card? Having an emergency fund has many benefits, and having one set up can make a big difference in your life. But how do you save for emergencies? What characteristics does an emergency fund have? And when should you use it? It’s exactly how it sounds. It’s an account, usually a savings account or a money market account, that you designate for emergencies. You set this up to “plan” for unexpected expenses. For example, you set aside money for the future in case your car breaks down or your furnace stops working. The emergency fund is designed to save your monthly budget. Unexpected expenses can be expensive and can do significant damage to one’s monthly budget. If you have money set aside for a rainy day and something unexpected happens, you can use the money from your emergency fund to pay for that expense. Your monthly budget isn’t affected at all. What are the characteristics of an emergency fund? You need an account separate from your checking account. You should have 3-6 months worth of expenses saved in this account. You can have too much. What strategies can you implement to save for an emergency? There are many things you can do to save money for your emergency fund. Automate your savings – Set up automatic transfers from your checking to your savings. Have it take place at the first of the month or every Monday. If this happens first, you can’t spend it away. You should use your emergency fund whenever you have an unexpected expense that could disrupt your monthly budget. Unplanned expenses can wreak a person’s monthly budget. It helps and makes a dramatic difference to have money set aside for a rainy day. Besides the financial aspect of having an emergency fund, you also have a psychological benefit. Peace of mind knowing that you have money available if a large expense were to come into your life. Are Free Google Play Redeem Codes A Scam? Getting free play codes and gift cards in exchange for answering a few questions may sound like an easy way to get some free goods, but don’t buy into it. In fact, be very careful. Why? Because not only are code generators a scam, they are trying to infect your system with malicious malware and steal your identity. Google Play redeem codes are no different. Many sites offer free Google Play codes in exchange for answering a few questions and offering your opinion on their marketing efforts. It only takes a few minutes of your time and, since you’re offering an opinion on whether or not their marketing efforts are hitting their mark, it makes sense that you’d get paid. But instead of getting paid in dollars, these survey sites are offering Google Play codes as payment. They claim that you can use the free redeem codes for music, games, and videos, but in reality, the codes don’t actually work and you’ve wasted your time with the surveys. In addition, the chances that your computer is now open to an attack or your identity is at risk is very high. Gift card and code generators are developed by very experienced hackers. They con you into doing some kind of task, like answering surveys, and offer you free Google Play redeem codes in exchange for your time. But guess what . . . they are using these surveys to gather enough personal information to steal your identity. They may also be planting a virus in your computer with each click of the mouse you make. And while these sites look like the real deal, they are really fake sites, used only to gather your information. Google Play redeem code generating sites, for the most part, are a scam so avoid them. Their only goal is to collect your information. While you’re busy taking a survey, the hackers are stealing your email and any other information you provide. They will give you a free Google Play redeem code in in exchange for your information, but it won’t work. Do not trust any site that offers free Google Play redeem codes. But there is one option that is safe and offers real redeem codes in exchange for your opinions. TokenFire is an advertising app that offers rewards for your opinions. You can earn “tokens” for things like watching videos or playing games on their app. Then you can exchange your “tokens” for Google Play redeem codes or other gift cards. There are various ways to earn “tokens” and each task offers a different number of tokens depending on how much of your time it will take and the difficulty of the task. Once earned, your “tokens” are easily redeemable for Google Play codes. You can even exchange them for Amazon gift cards if you’d like. Free Google Play redeem codes are a scam, as are most other free redeem code offers you may find so stay away from them. Only use legitimate sites to earn rewards, it will help prevent you from being hacked. Businesses and individuals benefit from careful money management and financial responsibility. In fact, it is virtually impossible to care for your needs and wants without budgeting and understanding exactly where your money is going. Some companies may get by with a basic idea of what funds are coming in and what expenses are going out, but individuals who are strapped for cash — even living paycheck to paycheck — may completely forgo budgeting. This is a mistake. Zero-sum budgeting is popular for a reason. Even with just a pen and pad of paper, people can take steps toward controlling their finances. Unlike an operating budget or a cash flow budget, a zero-sum budget takes a micro look at every penny that goes in and out of your checking account. This approach is thorough, and it’s the best way to get a grip on your savings while allowing you to spend on the things you and maintaining control over the areas needed to ensure a comfortable life. The benefits of zero-sum budgeting are multifaceted and include managing one’s debt; eliminating waste; precisely balancing one’s budget; avoiding overspending; and accounting for factors such as savings, investments, food, and entertainment. This means your budget will account for everything that will affect your bank statement, from annual expenses to monthly bills and daily costs. There are many other benefits to this approach, and it can be done starting today. Take this quiz to test your knowledge of this budgeting technique and learn what else you need to do to stay on top of your finances. 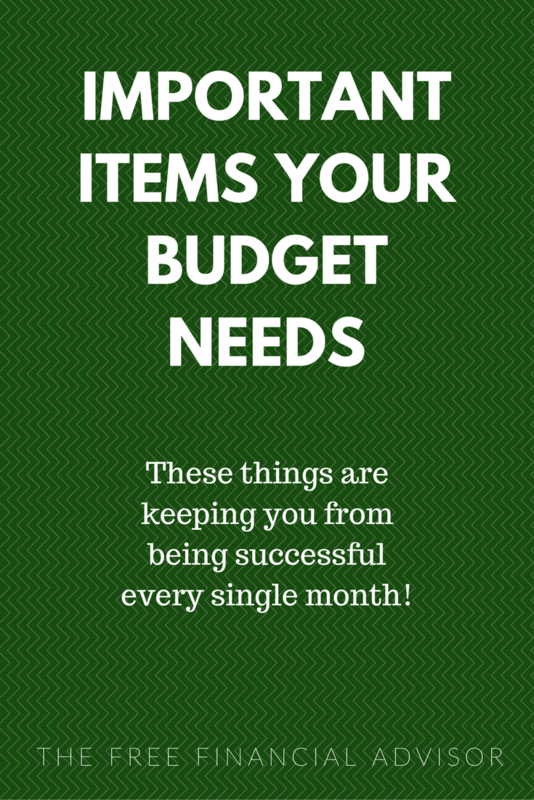 Hopefully, you already have a budget and you’re working with it every month. But you may find that you’re coming up a little short. That may be due to that fact that you’re leaving off some important items that you didn’t consider when you created that budget. And if you have too many unplanned expenses, your budget could be going sideways quickly. If you love Amazon and shop there frequently, you probably have a Prime membership. And since you only pay your membership fee once a year, you probably didn’t add it into your budget. But you need to include that $99 fee along with any other services and subscriptions you may only pay once a year like magazines, Spotify, or Netflix. And of course, don’t forget your monthly memberships like the gym and monthly subscription boxes. If it’s something you only pay once a year, figure out the monthly cost by dividing the total by 12 then set that amount aside each month starting now to cover next year’s expense. Birthdays only come around once a year as well so you may not be including those in your budget. But if you have more than one gift to buy in a month, it can really spread you thin that month. Go back and take a look at what you spent on gifts last year, who you bought for and an average of what you spent. Then, divide the total by 12 to get an amount to put in your monthly budget. Do this for holiday shopping as well so you don’t end up with a huge credit card bill in January. Your monthly car payment is most likely in your budget, but did you remember to add in gas and tolls? How about oil changes, new tires, safety inspections, and any other regular maintenance costs? These items are easy to forget because they don’t come up that often. But they do add up so add a line for routine car maintenance to your monthly budget. If you are a parent, you know that your kids grow quickly and always seem to need new clothes so you probably have a budget line for them. But what about you? If you don’t shop for yourself too often and like to shop sales, you’ve probably neglected to add these costs to your budget. In addition to new clothes, you’ll need to buy necessities like undergarments and socks. And don’t forget new shoes! You work hard for your money so you deserve to treat yourself once in a while. Maybe it’s dinner at your favorite restaurant or tools for a new DIY project. Add “Fun Money” to your budget and treat yourself to something you enjoy. Your fur babies have expenses too. They need food, toys, treats, and annual vet visits. If you go on vacation, you might have to hire a pet sitter or board your pets. Add a “Pet” line to your budget then estimate your yearly costs so you can break them down into a monthly budget line item. And keep track of your actual expenses so you know what to budget for next year. Tax season is wrapping up, and if you’re expecting a nice refund check to hit your bank account any day, you’ll need a plan for how to use it so you don’t waste it away. If the thought of that extra money coming your way is already burning a hole in your pocket, you may want to think about using it in a way that will be financially beneficial to you instead. Let your money work for you. What does your current financial situation look like? Can your refund check offer you a little more security? Here are some basic financial priorities that you may want to consider using your refund for. If you’re trying to work yourself out of debt, your tax refund can help you reduce or eliminate your high-interest debt that’s costing you more. Use your refund to pay off any loans or credit cards with a low balance. Or, consolidate high-interest accounts and put your refund towards any transfer or early payoff fees to help eliminate paying more in interest. Take a look at your high-interest student loans, car loans, or credit card debt and determine the best way to pay these down or pay them off completely. If you don’t already have a healthy emergency fund, now is the time to start. If you do have one, but the balance isn’t as high as you’d like, your refund check can give it a healthy boost. If you don’t have an emergency fund, you’re just one unexpected expense away from getting in debt. You should have at least six to eight months’ worth of your salary set aside. Saving that much can take months if you’re only able to set aside a little bit each month, but your refund can help you to quickly build that fund and provide some peace of mind. If a lower interest rate is available it will help lower your monthly mortgage payment, but refinancing has closing costs and other fees associated with it. Using your refund to refinance your home will save you money each month on your mortgage; money that can be better spent on something else. If you have a good mortgage rate already, take a look at your house. Does your air conditioning system need to be replaced? Maybe energy-efficient appliances will help you pay less in utility bills. Making improvements around your home can significantly increase its value and make it more comfortable to live in. When you’re young, you tend to feel pretty confident that there’s always going to be time to take care of the ones you love. Life insurance is usually overlooked. But if you’re married and you have a family or you’re planning one, a term life policy will offer them protection should the unthinkable happen to you. For a few hundred dollars, your tax refund can make sure your family is protected. Is your car in need of repair? Have you been putting off a visit to the doctor’s office? Let your refund help you get these essentials taken care of. Why spend all of your refund on things you don’t really need when you can use it to save you money and give you peace of mind? 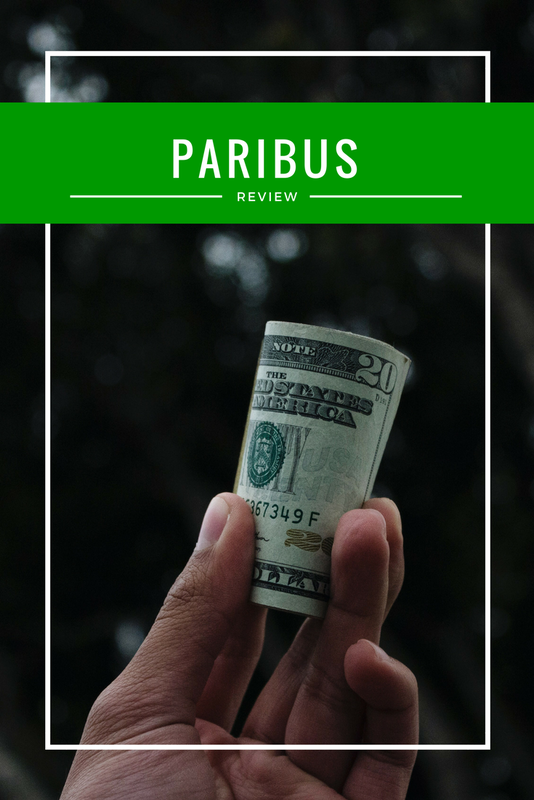 Paribus Review: Is it Free Money? There are a plethora of “free money” apps out there that feel like a scam. If you’ve gone looking for a Paribus Review, you know that isn’t the case with them. Paribus differentiates itself from so many of the other apps for one simple reason. Yes! The differentiator here is that I have actually gotten money back through Paribus. I know, for a fact, that this app works. Now that that’s out of the way, we can dig into the app. You set up Paribus by giving it permission to connect to your email address. This is how it tracks your purchases made around the web! As previously mentioned, they work with select merchants, but those merchants cover a wide variety of products. I do 99% of all my online shopping at Amazon, but if you’re not like me, you’re likely still covered. You can also connect your Paribus account to your credit cards to cover your bases entirely and make sure you are always getting the best price. You sit back and relax. Paribus looks at your purchases and uses bots to check prices on the things you’ve bought to see if the price drops. If it does, they work to get you money back. If not… well, you bought it anyway! If Paribus finds you money back, you will receive a message. Paribus does not collect any commission from your refund. Signing up with this link will get you started. Sally buys shoes from an online retailer for $48. Paribus watches the price and it drops to $24. The difference: $24. Instead of $48 on those shoes, your net expenses are $24. As an added bonus, you get all this money back without have to do any extra work since Paribus does that for you! The app was initially developed in 2014 as the brainchild of two Harvard guys – Karim Atiyeh and Eric Glyman. The software pretty much only runs on iOS, but there are plans to expand it to other operating systems. It is also owned by Capital One, so Paribus is a legit app run by a major banking corporation. One thing that differentiates Paribus from similarly “found money” apps is that it requires no work from you. No tedious surveys that pay 10 cents per word. This is an app that actually works, costs you nothing and can help you bring in extra money at no additional work or cost to you. You have nothing to lose! This post was sponsored by Paribus.